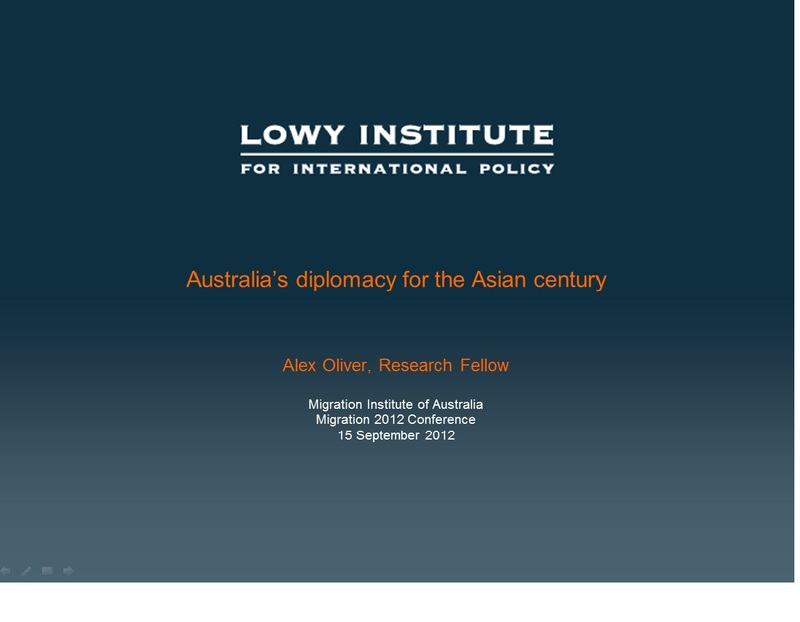 Research Fellow Alex Oliver spoke at the Migration 2012 Conference in Sydney on 15 September 2012. In the session on 'Australia in the Asian Century', Alex outlined some of the issues confronting Australia's diplomtic service, where rising demands and the increasing complexity of Australia's international engagement are stretching Australia's depleted diplomatic network. Alex's powerpoint slides are available here by downloading the pdf file.